Since we are frequently on the go, whether traveling, camping, hiking, or exploring, we tend to eat a lot of our meals on the go. After getting tired of the normal easy cold meals (sandwiches, tuna and crackers, sandwiches, noodle salad, sandwiches, …), we started looking for hot meal ideas. So we bought a 24-oz wide-mouth Thermos and started taking hot soup around with us (leftover from the previous night’s dinner). That was definitely an improvement on the sandwiches, but it only works if you have leftover soup to start with. Then we thought about using the Thermos to slow cook something. Since we have a couple of rice lovers in the family, our first attempt was white rice. We read a few recipes online and used previous experience to come up with this. Success! Perfect, fluffy rice with just a few minutes prep in the morning before going out for the day. See below for the full recipe. 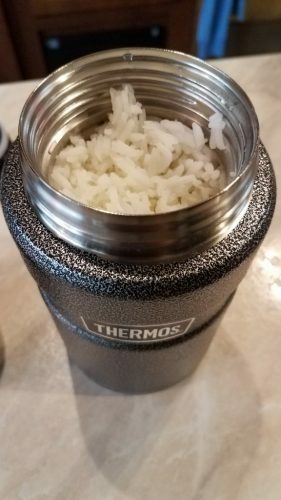 It seems to work best if you boil the rice for about 5 minutes first, then add it to the Thermos. It will be done in about 1 ½ hours and ready for lunch any time after that. If you’ll be eating more than 4 hours after preparing the rice, reduce the boil time to 3 or 4 minutes so it doesn’t end up overcooked. It might not be quite as perfect as a good rice cooker, but it’s at least as good as any rice you’ll get at a typical Chinese buffet. 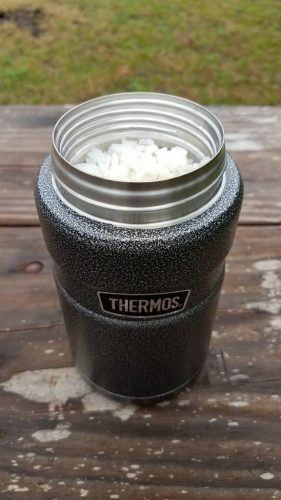 For any preppers out there, using a Thermos to finish cooking food is also a great way to save fuel during a survival situation. 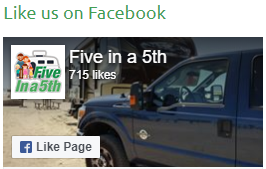 It’s also perfect for RVers who are boondocking and want to save propane. 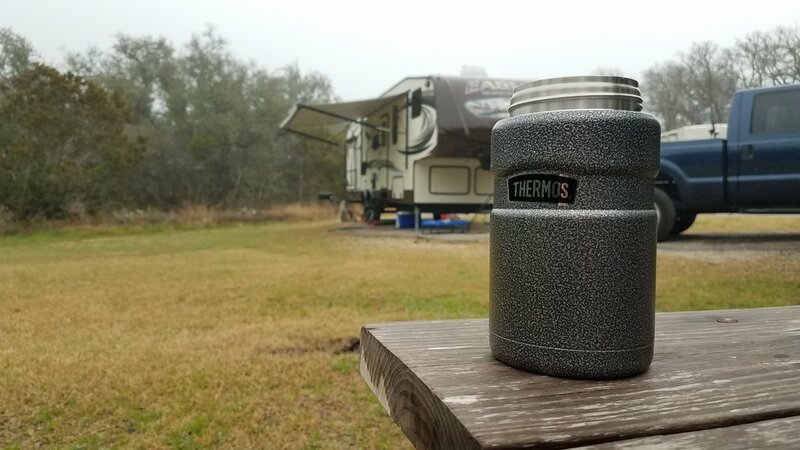 Thermos cooking also works with wheat berries, oatmeal, and other grains. We’ll be experimenting with cooking other foods this way, so make sure to follow our Facebook page or subscribe to our blog (see sidebar) if you don’t want to miss out. This will work best with a good quality vacuum-insulated steel thermos. We like to use this one. It holds 3 cups, just about right for a few servings of rice. Fill the Thermos with hot water and close the lid. Let it sit until you’re ready to add the rice. This helps “preheat” the Thermos. Bring the rice and water to a boil in a saucepan and simmer for 5 minutes. Empty the Thermos and pour in the rice/water from the sauce pan. Close the lid and leave it alone for about 1 ½ hours. When you’re ready to eat, open it and enjoy warm fluffy rice. Note: If you’ll be leaving it in the Thermos for more than about 4 hours before eating, try reducing the saucepan simmer time to 3 or 4 minutes to avoid overcooked rice.